The iOS & Android app was aimed at final users: they could pay their bills, read legislation, call CEZ Romania. 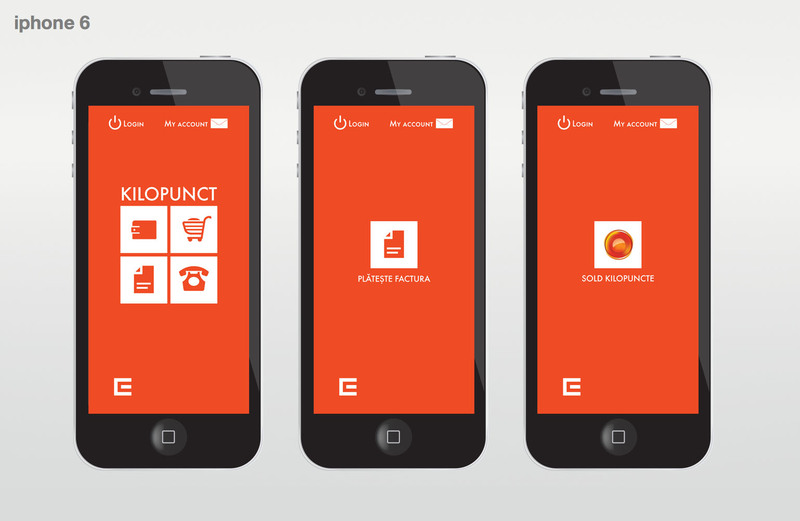 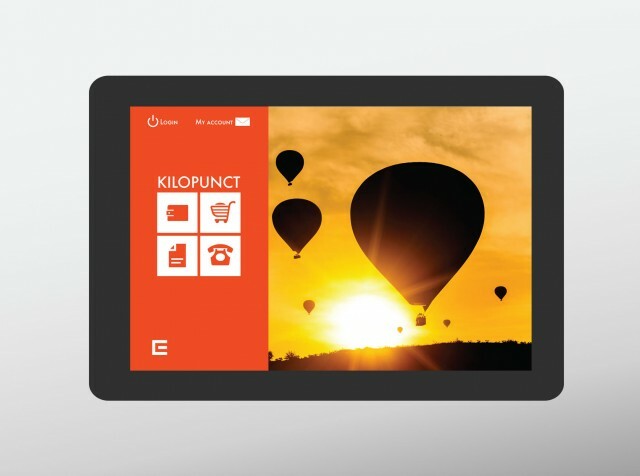 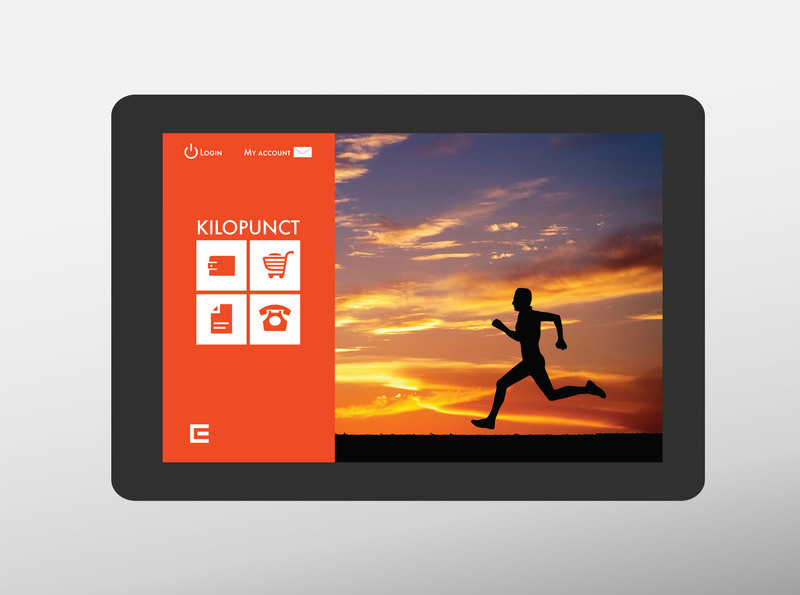 By making direct payments, users would accumulate Kilopoints, that they could in turn use to buy different items from the app. 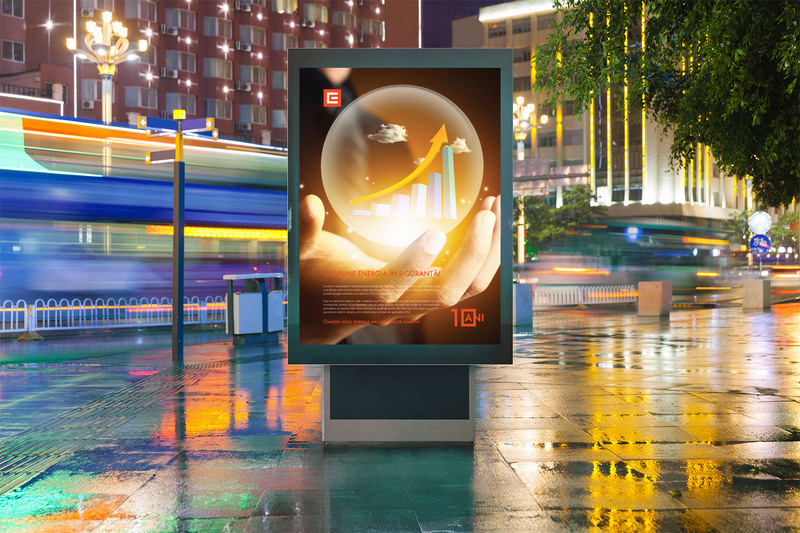 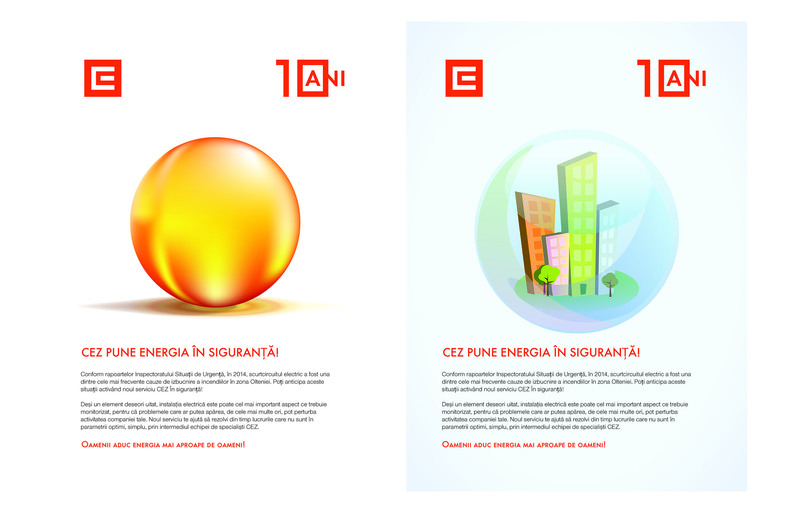 For the 10 year anniversary, we designed a corporate visual that talked about security, growth and energy. 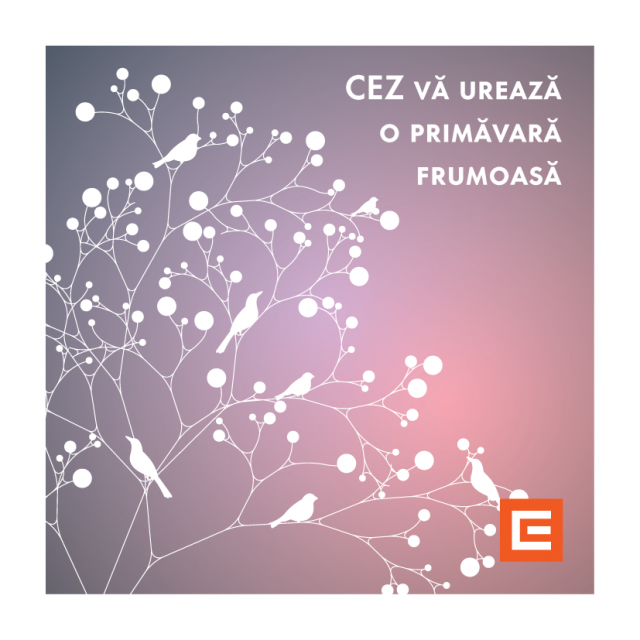 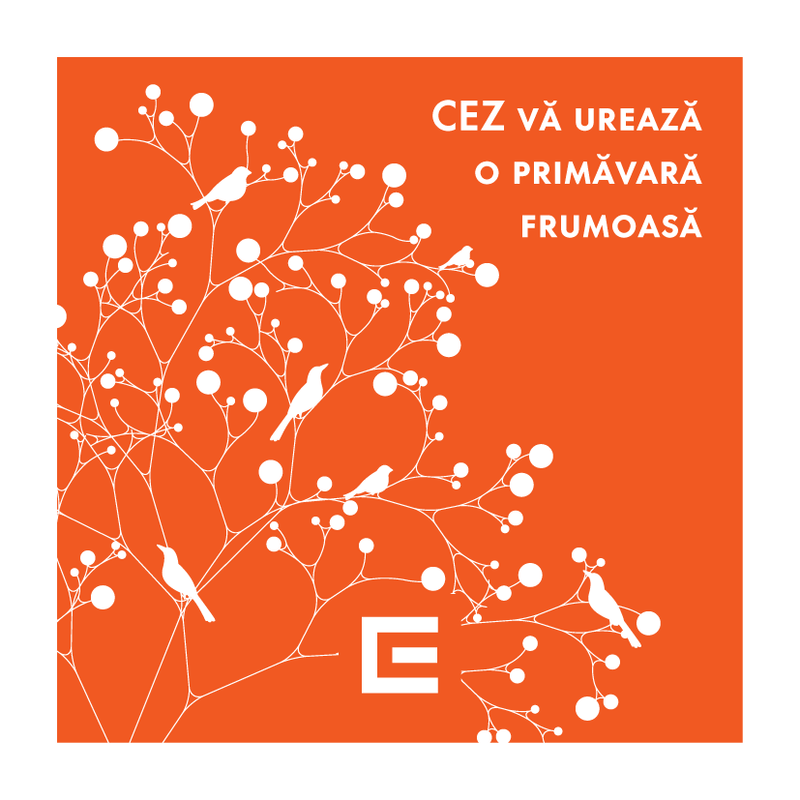 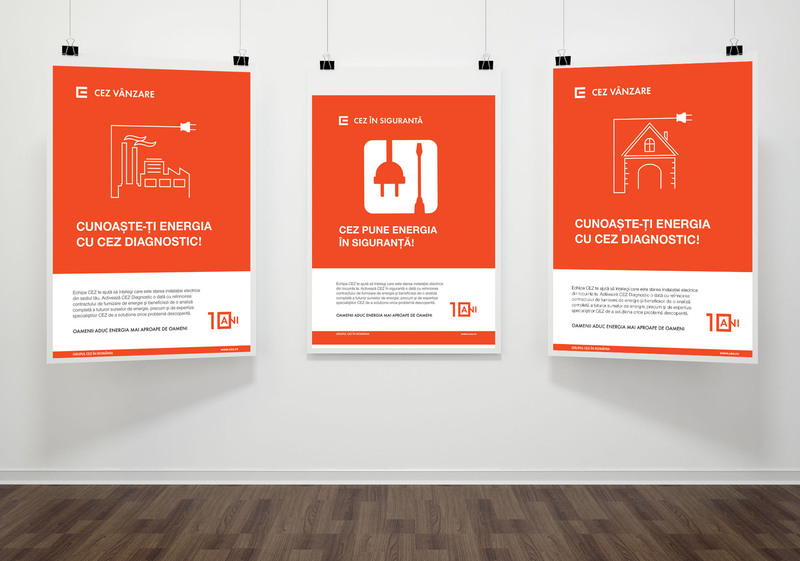 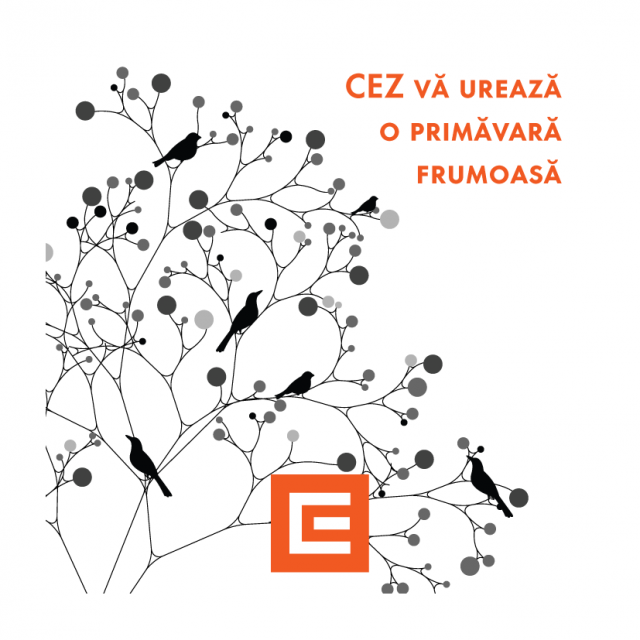 A follow-up of the 10 year campaign, CEZ needed to also communicate their post sales services: appliance diagnostics and energy safety measures. We were also in charge with social graphic assets, such as the Spring Celebration e-cards below.